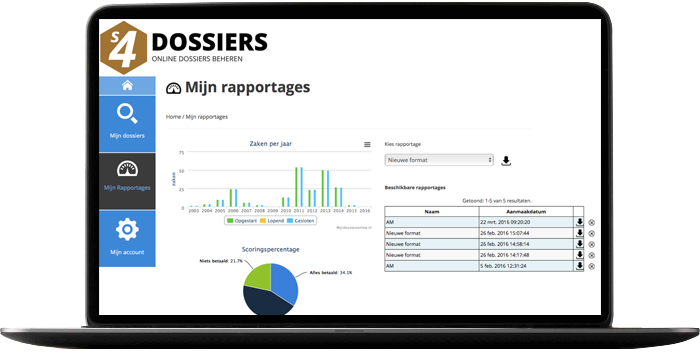 Your clients have access and can easily review the details of the files. In addition to several detailed reports that can be rotated for insight to analyze the overall picture and trends. 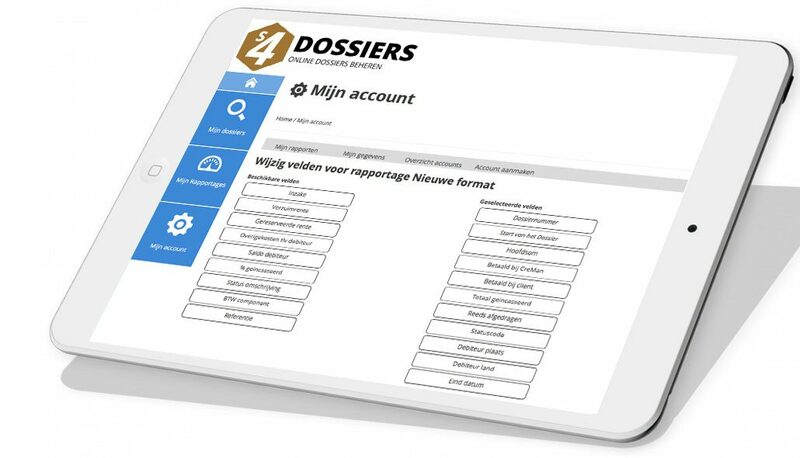 S4DOSSIERS is especially suitable for organizations that do file settlements, and their clients want to keep informed regarding the developments and status. Examples include debt collection firms , law firms and bailiffs practices. When you want to professionalize your companies processes. Than S4Financials has the perfect (solution, cloud solution, software) for you.